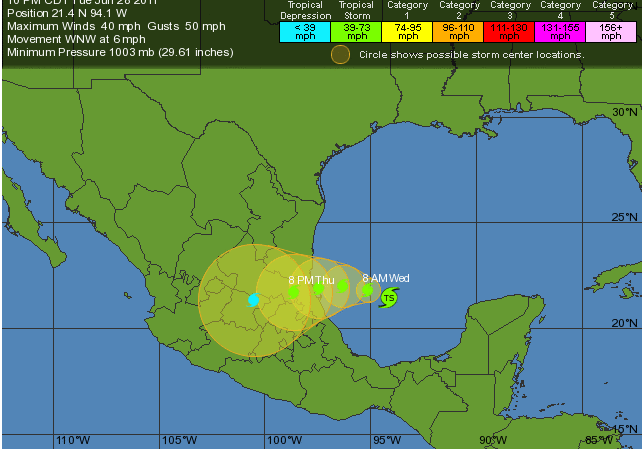 Well, it’s late June and we have our first Tropical Storm of the season. 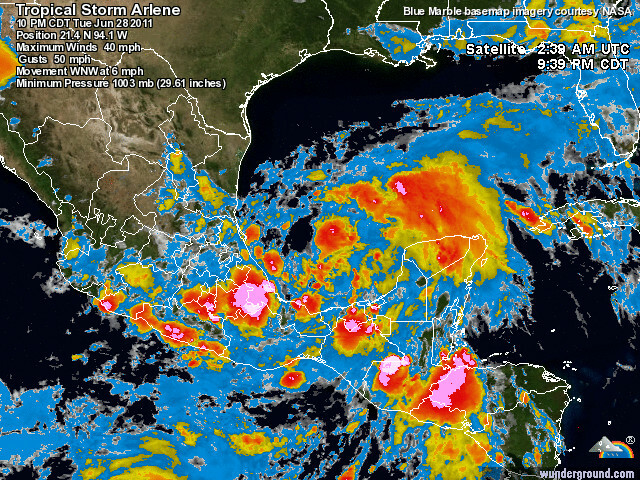 Arlene is located in the Gulf of Mexico and will most likely slam the Mexican coast before dissipating over Mexico. It shouldn’t have any threat to the US mainland whatsoever. If any details change about Arlene, I will let you know. For right now, however, I wouldn’t start worrying about this one.